We’d love your help. Let us know what’s wrong with this preview of The Life to Come by Michelle de Kretser. Set in Australia, France, and Sri Lanka, The Life to Come is about the stories we tell and don’t tell ourselves as individuals, as societies, and as nations. Driven by a vivid cast of characters, it explores necessary emigration, the art of fiction, and ethnic and class conflict. Pippa is an Australian writer who longs for the success of her novelist teacher and eventually Set in Australia, France, and Sri Lanka, The Life to Come is about the stories we tell and don’t tell ourselves as individuals, as societies, and as nations. Driven by a vivid cast of characters, it explores necessary emigration, the art of fiction, and ethnic and class conflict. Pippa is an Australian writer who longs for the success of her novelist teacher and eventually comes to fear that she “missed everything important.” In Paris, Celeste tries to convince herself that her feelings for her married lover are reciprocated. Ash makes strategic use of his childhood in Sri Lanka, but blots out the memory of a tragedy from that time and can’t commit to his trusting girlfriend, Cassie. Sri Lankan Christabel, who is generously offered a passage to Sydney by Bunty, an old acquaintance, endures her dull job and envisions a brighter future that “rose, glittered, and sank back,” while she neglects the love close at hand. To ask other readers questions about The Life to Come, please sign up. Did anyone else find this book boring and the writing uninspiring? I simply did not care what happened to the characters. I decided to ditch the book half way through. Vannessa No, just finished the book and loved it! Writing that's snappy, yet multi-layered. The blurbs bill the book as a series of interconnected stories; it is and it isn’t. Not all the pieces stand alone as short stories but characters do reappear. The main thread is a young woman, named Pippa, whom we follow from aspiring author to wife and mother. Sometimes it’s a stretch when you are introduced to new characters while you wait to see how these folks are connected to the ones that came before. There are a LOT of characters and when they reappear it takes some time to figure out who they were when (or if) you met them before. A good read. A 4.5 rounded up to 5. I thank the publisher for a copy in exchange for a review. I previously read and liked an earlier work of hers, The Hamilton Case, a historical novel set in Sri Lanka. This will possibly be one of the more difficult books to review as this book doesn’t really centre around a plot but more a character study. It’s also very slow moving, it’s a hard thing to criticise as the writing is impeccable but I feel I favoured the beginning chapter and the characters in that part were engaging and interesting but then the further I got in the book I lost interest. The five chapters showcase a slew of different characters but also some recurring ones. While some parts of the book meandered too long some parts felt hurried with no seeming sense or purpose to the story. Largely the book is very current and relevant in that it has it’s finger on a cross section of multicultural society it absolutely transcends borders making this a rich cultural reading experience. There’s also some satiric humour, with wickedly accurate observations. I can sense the author having some fun here so it’s not all serious. Not afraid to expose the flaws and foibles of her often absurdly pretentious characters. There are sad moments too but the author doesn’t give much time to linger on that so much, throwing in the death of characters liberally, and there are a few! The Life To Come is the fifth full-length novel by award-winning Sri Lankan-born Australian author, Michelle de Kretser. This novel in five parts details events in the lives of several Australians: sometimes their lives intersect, sometimes they appear in the background of each other’s stories, sometimes they are sometimes loosely connected. A common character in all parts is Pippa Reynolds, an aspiring author whose journey is followed from student to writer to wife and mother. George Meshaw is an author who has a minor influence on Pippa’s writing. Sri Lankan-born Ashoka Fernando appears in the wings of Pippa’s story via his girlfriend Cassie, who appears to have a fascination with a certain Tamil shopkeeper. Celeste Harrison is a translator whose life intersects with Pippa’s while Pippa is in Paris working on a novel. Pippa’s own story details her marriage to violinist, Matt Elkinson and certain insecurities which spur her into action. Sri Lankan expatriates, Christabel and Bunty’s lives also intersect with Pippa’s while they are next-door neighbours and become unwitting characters in her most successful novel. De Kretser gives the reader an abundance of exquisite descriptive prose: “In the moist, grey summer dawns, George felt he was walking into a book he had read long ago” and “In Sydney he recovered lost mornings of steamy grey warmth. The city was regulated and hygienic – occidental – yet voluptuously receptive to chaos and filth. It knew the elemental, antique drama of the sea” and “The light was deep blue and close-woven; whole rows of buildings looked as if they had been cut out with care and glued against the sky” are a few examples. While some scenes in each of the parts appear to echo despite the distinct perspective of the narrators, if the reader is looking for a book where all the stories are completed and issues resolved, where everything tied with a neat bow, then this is not that book. We get glimpses into people’s lives, but not always fully realised ones. Perhaps that is de Kretser’s intention. As for her characters, the reader can be forgiven for wondering if de Kretser actually likes any of them very much: many are not characters that come across as engaging, not characters the reader will fall in love with, care about, hope for, to any great extent. They are flawed, but not always charmingly so: some are pretentious, quite unlikeable, some are unendearingly quirky, and hard to connect with. But perhaps this is also intentional. De Kretser explores several topical issues: refugees, ostentatious philanthropy, the attitude of Australians abroad, and the state of Australian Literature. She has a unique writing style and this is a compelling read. I realise we’re only a quarter of the way through 2018 but I think it’s safe to say that Michelle de Kretser’s The Life to Come is going to be in my top 10 at the end of the year. There’s something about de Kretser’s silky prose combined with her superbly drawn characters and her forensic eye for detail that makes this novel — her first since winning the Miles Franklin Literary Award with Questions of Travel in 2013 — truly sing. 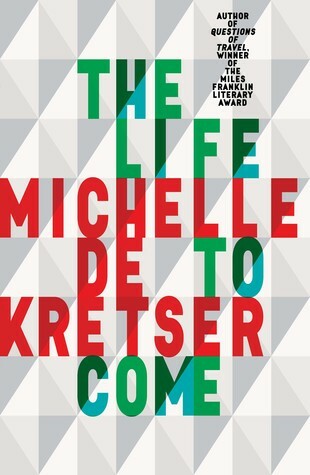 Throw in fierce intelligence and sparkling wit and you have an abso I realise we’re only a quarter of the way through 2018 but I think it’s safe to say that Michelle de Kretser’s The Life to Come is going to be in my top 10 at the end of the year. There’s something about de Kretser’s silky prose combined with her superbly drawn characters and her forensic eye for detail that makes this novel — her first since winning the Miles Franklin Literary Award with Questions of Travel in 2013 — truly sing. Throw in fierce intelligence and sparkling wit and you have an absorbing book that I raced through — all 384 pages of it — in a matter of days. I have now read all of de Kretser's novels and always find them interesting. This one was something of a curate's egg for me. It could be argued that this book is a set of interlinked stories, some of them novella length. Each centres on a different character, and the only common element is that they all meet Pippa, an aspiring novelist of limited talent who is largely played for comedy. Several of the characters are shaped by past conflicts without involving them directly, and the book is largely I have now read all of de Kretser's novels and always find them interesting. This one was something of a curate's egg for me. Several of the characters are shaped by past conflicts without involving them directly, and the book is largely about the nature of friendship. However for much of the book the plot takes second place to the descriptions - fortunately de Kretser is a perceptive observer of the modern world. With glorious prose and masterful character development, this is a story about stories - the stories we tell ourselves about our own lives. 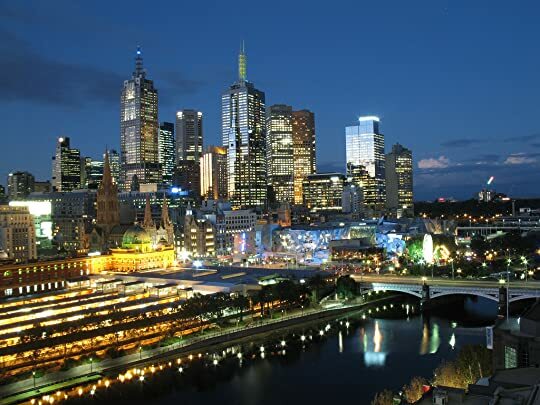 The book is divided into five chapters, each focussing on a different character, at a different time, and locations including Sydney, Paris and Colombo. The common factor that ties them all together is a character named Pippa. And the really interesting thing about Pippa, apart from the fact that she's not very likeable, is that she really is a secondary cha With glorious prose and masterful character development, this is a story about stories - the stories we tell ourselves about our own lives. 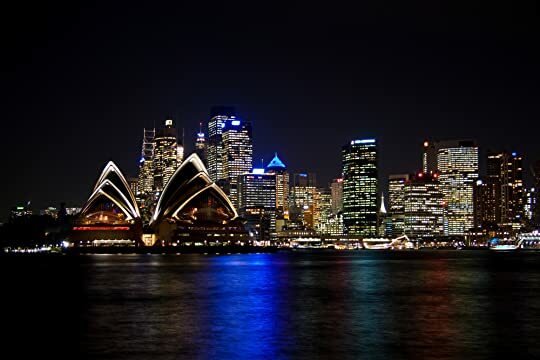 The book is divided into five chapters, each focussing on a different character, at a different time, and locations including Sydney, Paris and Colombo. The common factor that ties them all together is a character named Pippa. And the really interesting thing about Pippa, apart from the fact that she's not very likeable, is that she really is a secondary character in the story. Even the chapter about Pippa is actually more about her in-laws! UPDATE : Almost finished reading for the second time. UNABASHED 5 full stars!! Currently short-listed for the Miles Franklin Award, and I hope she wins. 4 1/2 stars rounded up. Such a joy to read!! So many triggers brought up forgotten errors of choice, speech, and identified so closely with one of the characters, it was scary!! Maybe the extra 1/2 star is just for the glorious memories of a sparkling Sydney day, at the Harbour and surrounds. An aside: Glebe is the suburb in which I both lived and worked for the entirety of 2018. It's a novelty to recognise the setting and effortlessly visualise where the characters spatially. This must be what living in New York or London is like. De Kretser really nails Sydney: Jacarandas in bloom, the antiseptic Northern suburbs (‘Chatswood doesn’t count’ haha), terraces subdivided awkwardly for max rental yield. “The suburb was moneyed boho chic…” I furrowed my brow. “ . . . further down Glebe Pt Rd, the suburb began its social slide, its Victorian terraces given over to students and social housing. Not all the graffiti was licensed. Sizeable rats made merry in its cafes." That’s more like it. I really wanted to like this book but I just couldn’t. I know I am not enjoying a book when I just don’t care about any of the characters. I also found the jumping around from one subject to another quite distracting and It didn’t flow well for me. One of the few books I couldn’t finish. The Life to Come is a novel that is very much open to the interpretation of each individual reader. More like five connected novellas instead of one continuous novel, Pippa is the anchor for all of them, a character I both loathed and loved in equal measure. Interestingly, upon reflection once I finished, I found that I liked Pippa best when I was in her story, the part called Pippa Passes. When viewed from each of the other character’s perspectives, I didn’t like her very much at all. I’m not f The Life to Come is a novel that is very much open to the interpretation of each individual reader. More like five connected novellas instead of one continuous novel, Pippa is the anchor for all of them, a character I both loathed and loved in equal measure. Interestingly, upon reflection once I finished, I found that I liked Pippa best when I was in her story, the part called Pippa Passes. When viewed from each of the other character’s perspectives, I didn’t like her very much at all. I’m not familiar with Michelle de Kretser’s work, but to me, this felt intentional. The Life to Come is a novel about its characters: their history, as much as their present. It’s stunningly honest and consequently both hilarious and discomforting. In each section there were characters I enjoyed and characters I did not, very much like life, really. All of these characters shared one thing in common, to my mind: they were all, to a certain degree, artificial, which oddly enough, enhanced their authenticity. The Life to Come raises the question: who are we? And, perhaps more importantly, who do people think we are? Reading this novel made me think of a social interaction I had a few years back at a party. I was speaking with the host, who had asked me about my writing which inevitably led to a conversation about reading. He told me that he had all of Bryce Courtenay’s novels in hardcover, signed – bar his last one which hadn’t yet been published at that stage. I was suitably impressed, as was his intention of course. I told him that The Potato Factory novels were my favourite by Bryce, particularly Solomon’s Song and then asked him what his thoughts were; I was assuming he must be a fan and would have a favourite. What fan doesn’t? But he laughed and said he hadn’t read them. He didn’t even read, he’d only bought them so he could display them. So he could openly lie, socially, about who he was. He was a literary fake but not quite smart enough to hide it. I’ve never forgotten that conversation and the whole time I was reading The Life to Come, I was thinking of him, and of his efforts at social illusion, and how, essentially, we all probably fake it to some degree, because unless we actually tell, who would ever know? There are plenty of meat eaters tweeting about their vegetarianism and a whole host of people pledging allegiance via Facebook to causes they barely understand, much less truly believe in. Our lives are lived today under a microscope but most of us would prefer not to have our flaws magnified and picked over, so we deliberately present our best selves. For some, this is taken a step further as their best selves become new selves, in part or entirety. The point of me bringing this up, is that it’s the best way I can articulate what this novel is about. It’s vast in scope and character detail, but the concept behind it is quite precise. We all have more to us than meets the eye. Some of us are comfortable with that, some of us are not. Some of us like to fake it until we make it, some of us are more subtle. The Life to Come examines this aspect of humanity in minute detail. It’s thought provoking and acerbic, at times funny while at others sad. Don’t expect a traditionally structured story; it jumps through time with a rapidity that is sometimes disconcerting and there’s never any real resolution. Sometimes, I had no idea what was going on or why a particular character and their story had been introduced; you just have to have faith in Michelle and keep on reading. The Life to Come is more of a witty and in-depth character study than a story as such, but it’s fascinating and real. So very real. The disconnected stories of a large cast of characters with only tenuous threads to bind them didn't work for me. I read to the end because the writing is sharp and often beautiful. Don't read the blurb before reading this book! The blurb misrepresents the story and sets up an expectation that is not met. Comparing the blurb with the story bothered me for the first 300 pages. Then I suddenly let it go and got into the spirit of the book. The blurb introduces three characters but there is only one main character. Her name is Pippa and I found her difficult to like or to care about. Her flat mate George and her husband's family were far more interesting than her. I found it h Don't read the blurb before reading this book! The blurb misrepresents the story and sets up an expectation that is not met. Comparing the blurb with the story bothered me for the first 300 pages. Then I suddenly let it go and got into the spirit of the book. The blurb introduces three characters but there is only one main character. Her name is Pippa and I found her difficult to like or to care about. Her flat mate George and her husband's family were far more interesting than her. I found it hard to let go of my first impression of her, as George's dippy undergraduate student. de Kretser is a master of analogies. There are some absolutely beautiful lines which I would love to quote but can not as this is an ARC. The book is also rich in observations. Many I understood having spent time in Europe and having met similar people to some of the characters in the book. Many went over my head. For this reason, the book demands a re-read because they topple over one another to illustrate a point, a character, a scene. It is no accident that de Kretser is a former recipient of The Miles Franklin Literary Award. She is a wonderful writer. She does not follow a formula in this story but writes confidently and on her own terms. The best things about Michelle de Kretser’s new (in the U.S.) novel are the constant freshness of her descriptions (and her writing in general) and the way she plays with time, so that one often doesn't know where one is in time, and comes not to care (and yet there is the title's theme of futures). Both keep the reader off balance, which is where I like to be. The biggest problem for me was the fourth section, which features Pippa. I found it dull, despite de Kretser’s skills. Things picked up, The best things about Michelle de Kretser’s new (in the U.S.) novel are the constant freshness of her descriptions (and her writing in general) and the way she plays with time, so that one often doesn't know where one is in time, and comes not to care (and yet there is the title's theme of futures). Both keep the reader off balance, which is where I like to be. The biggest problem for me was the fourth section, which features Pippa. I found it dull, despite de Kretser’s skills. Things picked up, for me, in the fifth section, but didn’t fully recover. Although I loved her last two novels, I was not so much the right audience for this one, perhaps because of my gender, perhaps because of my dislike for a structure based on interlocking characters. But it’s amazing how much de Kretser can do without some of the basic elements of the novel. She is a wonder to watch in action. de Krester is a talent and I did appreciate her writing and use of language. It just isn't a style that really grabbed me or commanded my attention. It is kind of like a book of short stories, with the concessional cross over of characters - except for Pippa who is a constant through them all. And she isn't all that likeable. I don't enjoy Michelle de Kretser's novels as novels. In that they are not enchanting stories that sweep across time and space to leave you panting, spent, and full of wonder. Instead, her books are marvellous insights into human nature, incisive views into culture. I recognised the most shameful parts of myself (and others!) over and over. De Kretser SEES our society, as an artist is meant to see: she pulls off the veil of hypocrisy and posturing, to uncover white Australia's poisonous attitudes I don't enjoy Michelle de Kretser's novels as novels. In that they are not enchanting stories that sweep across time and space to leave you panting, spent, and full of wonder. Instead, her books are marvellous insights into human nature, incisive views into culture. I recognised the most shameful parts of myself (and others!) over and over. De Kretser SEES our society, as an artist is meant to see: she pulls off the veil of hypocrisy and posturing, to uncover white Australia's poisonous attitudes and casual racism; the careless way we uphold our image of ourselves, and the damage we do to others to ensure we are needed. As well as this, her novels are pure meditations on theme; The Life to Come is often on creativity and art, and whether works which are not excellent are still worthy. Oh! Also, read for exquisitely crafted sentences the describe moments with a directness of distilled prose that will make you pause and repeat for the craft of words. The Life to Come (Allen & Unwin Books 2017) is the latest novel by Australian author Michelle de Kretser, and as we have come to expect from this writer, it is another complex and intricate story with many intriguing layers and a cast of finely-drawn characters. I was fortunate to hear Michelle speak recently at an Avid Reader Bookshop event in Brisbane, and her thoughtful and intelligent consideration of her own writing – and of the Australian literary scene – were every bit as compelling a The Life to Come (Allen & Unwin Books 2017) is the latest novel by Australian author Michelle de Kretser, and as we have come to expect from this writer, it is another complex and intricate story with many intriguing layers and a cast of finely-drawn characters. I was fortunate to hear Michelle speak recently at an Avid Reader Bookshop event in Brisbane, and her thoughtful and intelligent consideration of her own writing – and of the Australian literary scene – were every bit as compelling as her writing itself. Michelle writes the interior life of her characters in a rich and nuanced way, while still managing to imbue her stories with the freshness and vibrancy of modern life. Her sense of humour is evident throughout her novels, and so it is with The Life to Come, a book that pokes irreverent fun at iconic Australian traditions and ‘takes the mickey’ out of the people in its pages. Set in Sydney, Paris and Sri Lanka, the novel traverses times and settings through five distinct and separate, yet interconnected, stories. Reading almost as a series of novellas joined together by narrative threads, the novel is packed full of dense characterisation and authentic situations, complicated relationships and unusual perspectives. What beautiful writing! This was one of those books that suffered from being put down and picked up again over and over during the work week. It would be much better read and reflected upon over a quiet day devoted to reading! (I need more of those). This was filled with sharp, clear, sometimes biting observations on life and people, Australia and Australians. It’s about how people see themselves and how they want to be seen, contrasted with how others truly see them. With Australian woman Pippa What beautiful writing! This was one of those books that suffered from being put down and picked up again over and over during the work week. It would be much better read and reflected upon over a quiet day devoted to reading! (I need more of those). It was nicely written. The characters were nice. The settings were nice. But nothing really happens. I was disappointed as I have enjoyed her other books. Winner of Australia’s premier literary award this year, the Miles Franklin Award, I was keen to read something by Michelle de Kretser for the first time. I went through quite a variety of emotions with this book. Early on I was loving it, enjoying the characters and the different worlds they inhabit. Then later, my interest began to flag, because I was struggling to find a real story running through the very individual sections. Then finally I found there was a deep vein of narrative in the last Winner of Australia’s premier literary award this year, the Miles Franklin Award, I was keen to read something by Michelle de Kretser for the first time. I went through quite a variety of emotions with this book. Early on I was loving it, enjoying the characters and the different worlds they inhabit. Then later, my interest began to flag, because I was struggling to find a real story running through the very individual sections. Then finally I found there was a deep vein of narrative in the last section that will reward those who concentrate hard and perhaps read a second time. Initially I thought that Michelle de Kretser might have found a winning formula that authors could use to fight back against publishers who say that they will not publish short stories. She has taken five very different stories and linked them all tenuously through the inclusion of one character in all of them. It allowed her to tell different stories while calling them a novel, because Pippa appears in each story. Sadly, the one story which has Pippa at the centre is, in my view, the least successful of the five. That is because she is one of the least likable of the characters; she is shallow, vain and worries too much about how other people see her. Pippa’s chapter is called ‘Pippa Passes’, which is the name of her fictional Twitter account. When one character tries to describe Twitter, he lists “Oversharing, ephemera, schmoozing and cats.” But then he describes Pippa perfectly with the phrase “transparently curated selves”. I was happier when Pippa was only a friend, acquaintance or flatmate, and could be used ironically as gauge of fashion, food writing or popular fiction fads. In Paris, Céleste’s life is summed up “On Fridays and weekends and in the evenings, she translated books for a small New York press that published obscure European fiction, novels devoid of spirited heroines, novels that offered no clear message nor any flashing sign as to how they were to be understood, novels whose authors were neither photogenic nor young – sometimes they were even Swiss.” Because Pippa is not an engaging character we could apply that same phrase “devoid of spirited heroines” to this novel, were there not others to compensate such as Cassie, Céleste and Christabel. We step briefly into each of their lives and find fascinating interiors, often overshadowed by doubts or disenchantment, but raw and real and effortlessly revealed to us. The power of this book is in the interior life of the characters it lays bare before us. Written in 5 parts, somewhat connected but essentially for me seemed like short stories which didn't appear to have any purpose. My response to this novel was very mixed. I usually don't like to have read the 'blurb' before I start a book but in this case, had I realised that it was a set of loosely connected narratives I would have been better prepared. As it was, I became interested in the characters in the first story, only to have them disappear - at least temporarily. Because I am a great admirer of de Kretser's work I think I also had expectations that were too high for this type of book to satisfy. The 'life to com My response to this novel was very mixed. I usually don't like to have read the 'blurb' before I start a book but in this case, had I realised that it was a set of loosely connected narratives I would have been better prepared. As it was, I became interested in the characters in the first story, only to have them disappear - at least temporarily. Because I am a great admirer of de Kretser's work I think I also had expectations that were too high for this type of book to satisfy. The 'life to come' of all her characters seems to be one that would inevitably disappoint. They lived in expectation of a better relationship, a successful writing career, a new and safe country to live in, but the reality could not be as they hoped. Australia and Australians generally get harsh treatment from de Kretser in this novel. Her Australian characters are seen as complacent, casually racist and lacking the depth that a longer history and understanding of suffering can create. While sometimes her satire was perfectly targeted and often extremely funny, at other times I felt she was drawing too heavily on stereotypes and her narrative voice at times quite vitriolic. Michelle de Kretser is an Australian novelist who was born in Sri Lanka but moved to Australia when she was 14. She was educated in Melbourne and Paris, and published her first novel, 'The Rose Grower' in 1999. 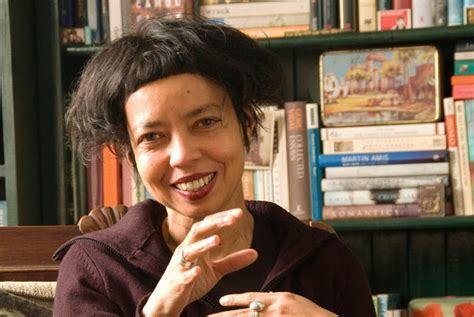 Her second novel, published in 2003, 'The Hamilton Case' was winner of the Tasmania Pacific Prize, the Encore Award (UK) and the Commonwealth Writers Prize (Southeast Asia and Pacific). 'The Michelle de Kretser is an Australian novelist who was born in Sri Lanka but moved to Australia when she was 14.